This playlist and map accompanies Chapter 5 of my book All Hopped Up and Ready To Go: Music from the Streets of New York 1927-77. (Click on the triangle in the box below to start the playlist. You can click through to buy each track or album.) “Mambo Madness” is essentially about the glory days of the Palladium Ballroom, on 53rd and Broadway; the Tico Record label, founded by George Goldner; and the three Orchestras who ruled over the mambo in New York, those of Machito, Tito Puente and Tito Rodriguez. Puente and Rodriguez, both of Puerto Rican lineage, started out as close friends before later becoming fierce rivals. As teenagers, they lived on the same block of 110th Street in Spanish Harlem, they toured together with Jose Curbelo after the War, and when Rodriguez first went out on his own, he hired the eminently qualified Puente, who had played timbales with Machito as a teenager back in 1942 and had taken advantage of the G.I. Bill to study at Juilliard, to provide his arrangements. Notably, Rodriguez named his first group the Mambo Devils. At the end of the 1940s, as the Palladium was in its infancy, Machito’s Afro-Cubans were regularly to be found at the Broadway bebop clubs the Royal Roost and its successor Bop City; they were broadcast playing live from the former club, in March 1949, with guest spots from white jazz men like Howard McGhee and Brew Moore, for “Symphony” Sid Torin’s radio show on WMCA. (You can listen to a short Machito broadcast for Symphony Sid here.) In the same way that Rodriguez had already named his group for the Mambo, the fact that the Afro-Cubans were performing “El Rey Del Mambo” a year ahead of Perez Prado’s breakthrough American hit “Mambo No. 5” indicates the extent to which the new rhythm (described as “anarchy in tempo” by one of its Cuban pioneers, Arsenio Rodriguez) had taken hold in New York. The title “Mambo” also appeared, in two parts, on 1950’s Afro-Cuban Jazz Suite, written by Irish-Cuban Chico O’Farrill, produced in New York by Norman Granz, and featuring, among Machito’s extended 19-piece Afro-Cuban Orchestra, Charlie Parker (whose alto sax can be heard on “Mambo”) and Buddy Rich (whose trap drums dominate “Jazz). This was probably the pinnacle of the Machito Orchestra’s classical artistry and mainstream credibility. As the Royal Roost and Bop City faded from glory, the Palladium Ballroom’s biggest competition came from its close neighbor, Birdland, fronted by Morris Levy. Though Birdland promoted a wider range of music than the all-Latin Palladium, a love of jazz and dancing ran through the heart of both, and served to fuel the competitive spirit between musicians of all stripes in this part of midtown. So too did the turnover of the bandstand seats across three or four rotating sets a night at the Palladium, especially on those occasions when the bill featured Machito, Puente and Rodriguez. There exists some incredible footage of dancers at the Palladium, but it is invariably pulled from YouTube for copyright reasons. Still, much of it is included in this TV broadcast about the Palladium. George Goldner signed both Titos to his Tico label in 1949, and almost immediately had a hit with Puente’s brassy “Abaniquito.” (Machito’s Mario Bauzá was among the trumpet players; Chano Pozo’s cousin Chino played bongos, and the vocals were handled by the impressive trio of Vincentino Valdés, Frankie Colon and Graciella Grillo.) Puente recorded “Mambo Macoco” at much the same time, and as the mambo craze spread, both he and Rodriguez turned out multiple volumes of 10-inch Mambo EPs, as reflected in the constant use of the word in the titles. Some of these titles were generic, some were humorous, and some served as a form of tribute to those upon whose largesse they depended. Tito Rodriguez’s rather more polished and languid style is evidenced through “Mambo With Killer Joe” (named for the legendary dancer who led the classes on Wednesday nights at the Palladium), “Mambo Gee Gee” (named for George Goldner and his love of horses), and his own vocals on the hits “La Renta” and “Chiqui-Bop.” At the time I wrote All Hopped Up, these recordings were not officially available; they have now been commercially released as the compilation Mambo Gee Gee and come highly recommended. So too do the recently released four double CD sets of Tito Puente’s Tico Recordings, which appear as The Complete 78s Volumes 1-IV. 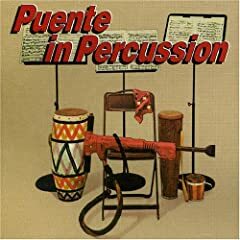 Unfortunately, just as these long lost recordings becoming available, the legendary Puente In Percussion LP, of which I write about in some detail in the book, Joe Loco’s recordings for Tico, and the Caravan Mambo compilation of Tito’s mid-1950s artists have all been removed from circulation. Hopefully this is only in preparation for a new re-release. In 1954 Rodriguez left Tico for RCA (and Machito promptly left Columbia for Tico). By this point the cha-cha-cha – “essentially mambo at half-speed,” as I write in the book – had taken hold. The difference in styles can be heard clearly in Rodriguez’ “Todo es Cha Cha Cha,” recorded for RCA, and Puente’s “Cha Cha Mambo,” recorded for Tico. The map for Mambo Madness (click the link above for full view) features all the major midtown clubs – and several more not included in the chapter. You can see the concentration of ballrooms and nightclubs in such a concentrated area of midtown. You can also see how Rodriguez, Puente and Machito all came from the same croner of Spanish Harlem. I’m not certain about the location of Bop City; if anyone has the precise address and can prove it, please let me know.